A 5 day course. Guiding fee: 1750 Euros. Maximum guide/client ratio 1/2. The aim is to climb every day on long exciting multi-pitch routes where safety is always the guide’s first concern! 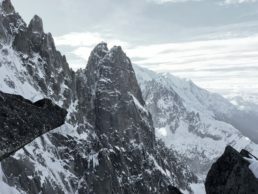 Chamonix – Cogne. 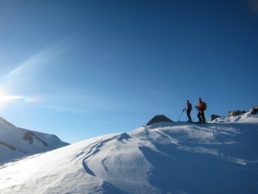 The first two days generally are spent climbing in the Chamonix area and neighbouring Swiss valleys. Normally on the 3rd day, we drive through the Mt Blanc tunnel to Cogne Italy. 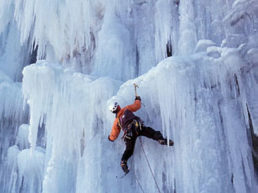 At Cogne and in the surrounding valleys, there is a multitude of great ice climbs with international reputation. La Grave. Famous in France as the birth place of French ice fall climbing. 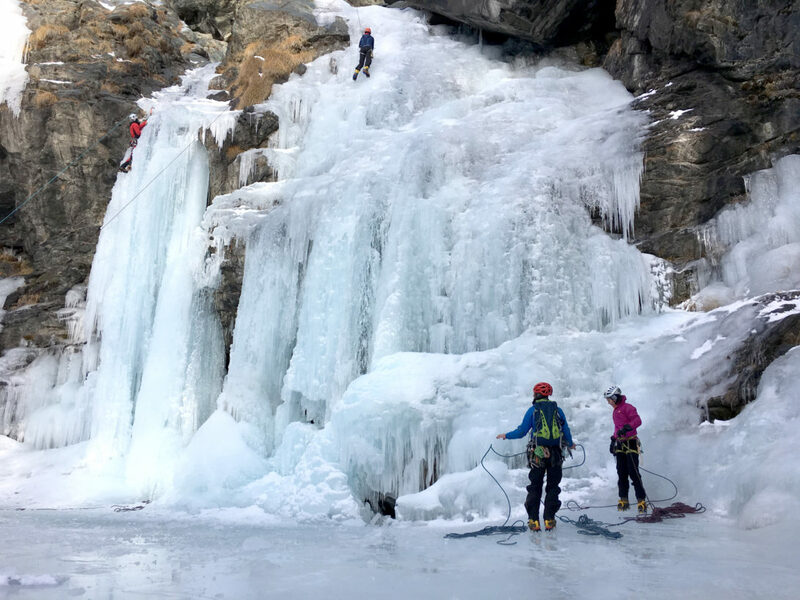 Apart from having a great choice of ice falls of all difficulties within a short walk from the village of La Grave, you are conveniently situated for accessing neighbouring areas, such as: Le Vallon du Diable, Briançonnais and Alp d’huez. Kandersteg. (Only for experienced ice climbers) There are hardly any easy climbs in Kandersteg. This is due to the steep limestone cliffs where the ice fall form. The most common grade of climbs is 4-6 ice. The climbs at Kandersteg are very impressive, they can be up to 300m.